Do you quickly experience insights that create win/win solutions? Do you enjoy physical vitality, and seldom feel fatigued? If so, you probably have a strong Liver Meridian. On the other hand, if you suffer with digestive problems, a weak bladder, joint pain, arthritis, nausea, rage, depression, blurry vision, and feel sluggish and weak, it’s also worthwhile to consider strengthening or healing your liver, and the Liver Meridian. Wood is yang/masculine in character. The predominant attributes are considered to be strength and flexibility, as with bamboo. It is also associated with qualities of generosity and idealism. One quality of the Wood element is leadership. It is the leader within us, that can take charge and determine a plan of action. The wood is one that seeks always to grow and expand. Wood heralds the beginning of life, springtime and buds, sensuality, and fecundity. 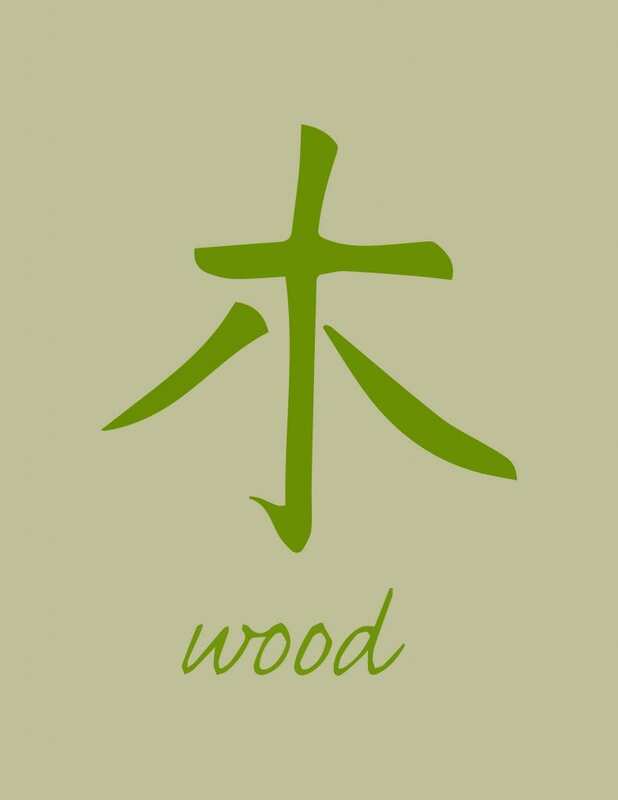 The element of Wood relates to the person’s benevolence and gratitude. People who have a good heart, a positive outlook on life and those who are progressive in nature, have good quality Wood elements in their chart. Those who lack kindness or compassion, and who are unable to make progress in life, invariably have poor quality Wood elements. Sometimes called the “root of resistance to fatigue,” the liver is not only an amazing organ of detoxification but also burns fat, filters, detoxifies, nourishes, replenishes, and stores blood, and controls the peripheral nervous system, which includes control over ligaments and tendons and muscular activity and tension. However, an overload of toxins, so common in our world and bodies these days, dampen its function. Our Liver Meridian, a Yin organ, is paired with the Yang Gall Bladder and begins from the big toe, runs up the medial sides of the legs through the groin, connects with the liver, goes up to the neck, mouth, eyes, and to the very top of the head. If overactive, these Wood elements can suppress Earth element organs such as the stomach and spleen and weaken the digestive system. Like metal cutting wood, if Metal element organs such as the lungs and large intestine are not functioning properly, the wood element liver’s filtering function is also adversely affected. When the liver is out of balance, the person can be very resistant, and like their body; inflexible, hard and unyielding, finding it hard to adapt to changes. They are often overly critical and judgmental, easily irritated and nervous and easily angered. Eventually, liver disease will start to set in if they don’t change and learn to heal their liver and their disposition. When someone has liver blockages and or weakness, they can have eye problems, thickening nails, tight sinew, tendons and ligaments, liver diseases, twitching, sharp headaches, their right side of their bodies can have problems, problems and pains will move seemingly mysteriously around the body, and they will generally experience a lack of flow and smoothness in their lives. The root of the weakness can be physical alignment such as compression of the organs due to differing leg length, dietary and even deep rooted feelings of low self worth. There are solutions; Taoist yoga programs with depth and breadth such as my Qigong & The 5 Elements Course and my signature program Empower Inspire Create take a multi-directional approach to releasing the root and restoring balance in all these aspects; Physically, emotionally, and spiritually. • Stand with your heels together, knees bent, and point your toes outward at a 180-degree angle. Slightly tuck in your chin (Do not tilt your head forward) drawing your spine up from the crown of your head, keeping it straight with your neck and shoulders relaxed. Raise your arms in front of you to chest level, palms down, and form a triangle with your thumbs and index fingers. Hold this posture for as long as you are comfortable. Repeat several times, gradually increasing duration as blockages release and circulation restores. • Lie on your back and lift your left leg, with bent knee, bring your leg over your body (to the right) to touch your left knee on the floor. Shift your eyes to the left to gaze at your left hand for three to five minutes; this will release energy blockage from your diaphragm. Repeat the same exercise with the right leg. • "Intestine Exercise", which promotes deep abdominal breathing is excellent since it synchronizes the abdomen with the diaphragm and will stimulate liver function. Did you know that the qualities of decisiveness and courage are actually associated with your gall bladder? If it’s healthy, you probably have a daring and decisive nature and some “gall” in meeting life’s challenges. If not, indecision will reign, small challenges will become insurmountable, and it’s primary function of storing and releasing bile and digesting and metabolizing fats and oils from the liver, as well as its ability to eliminate toxins, will be impaired. Energy blocks in the Gallbladder Meridian can create a bitter taste in the mouth; migraine headaches; muscular, tendon, and ligament weakness; low energy; dizziness; a bluish color in the eye sclera; eye weakness; and problems in the face, skin, and legs. With dysfunction, one can also experience anger and irritability for no apparent reason or, on the other hand, even be unable to express these emotions. In fact, difficulty in dealing with anger is a hallmark of imbalance in both the liver and gall bladder meridians. The body’s meridian systems can illustrate the cooperative nature of, for instance, wood and water. In this regard, as a tree needs water for sustenance, the Water elements of the kidneys and urinary bladder help the liver and gall bladder (both Wood elements) to detoxify and stay in balance. 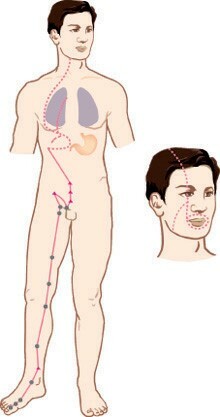 The Gall Bladder Meridian covers quite a large area of the body. It begins at the eyes’ outside corners to the temples, goes down the skull sides and over the shoulders to the front of the body, across the chest and trunk sides, down across the hips, thighs, and leg sides, and ends in the fourth toes. With all the possible problems resulting from an out of balance Gall Bladder Meridian, it is wise to practice exercises to keep it in good health! 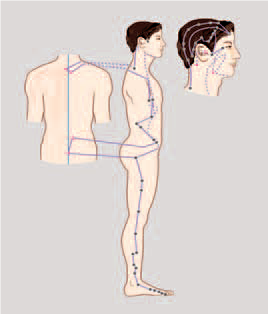 For instance, side bends or body tapping will help stimulate this meridian. Once blockages are released and energy flows smoothly, our human nature yearns for deeper connection, and then quests for meaning and purpose. It is important to note true transformation comes with greater change. Changing your habits and your outlook. Expanding your conscious awareness to solve the question of why you are here, and developing your skills and capacity on a trajectory of growth, connection and comprehension. This is where the journey of strengthening character begins and the 5 Elements can be a reliable path and reflective barometer to gage from. Thank you arrow..this was perfect timing for me to find this as I was searching for help with Liver issues and am always working on releasing my diaphragm. Blessings to you!